So, today was a big day for us. 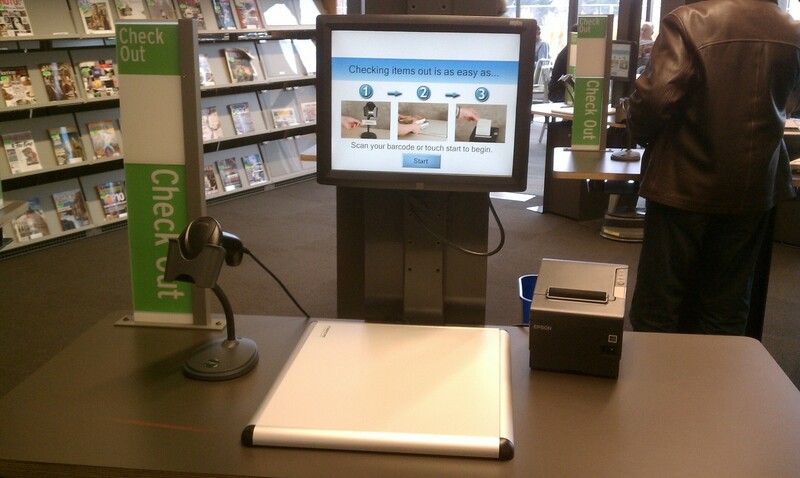 We decided it was time to try and obtain a library card. Again. Oh we've had one before in the distant past when the girls were 5, 4, and 2, but with such tragic results we've been scarred and scared away for over two years. Should I share the story? Well, I don't really want to, but okay, here it is. The long and the short of it goes something like this: Two years ago we went to the library. We instantly lost a DVD and simultaneously got pink eye. We haven't been back since. True. story. 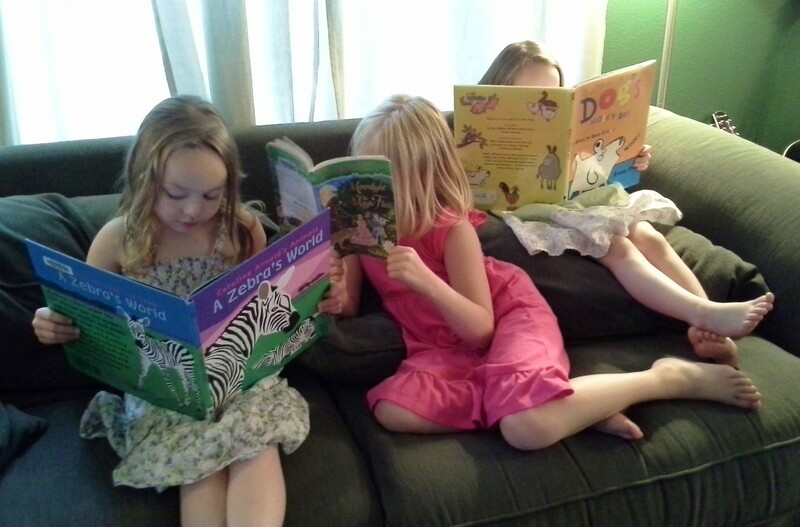 Flash forward to today and I decided, now that we've got ourselves a couple of little readers, we need to be immersed in books all summer so that when school comes around, we are ahead of the game. (Side note: I even ended up finding that lost DVD a year later and saved it to bring back, even though I had already paid for it). Would the alarms go off? Would the library lady gaze sternly at me from behind her glasses? Luckily, no. Once inside we found a nice lady who looked up our info and we were still in the system. She gave us a new library card lickety split and signed the girls up for a summer reading program where they can earn prizes and a trip to the zoo to boot! No long lecture on lost things, no "this is a big responsibility" speech. Nothing. Just a smile and can I help you find chapter books for your future 2nd grader. Sweet. She trusts me! Technically, we should have taken it slow and just check out a few books for our first time back, but truth be told we went a little bit gaga over the books once we were released into the kid's book shelf area. Each girl starting picking out books they wanted, and soon I was standing there with a tower of heavy books in my arms, thirteen to be exact! Wow. These girls are excited about this. They were even more excited to discover we could check these books out all by ourselves! Scanning with glee accompanied by a satisfying "beep" and all three girls wanted to scan their own books for checkout. After the drive home the books were piled precariously on the floor, and I knew right away I was going to need a system so that our books are not lost forever, or find their way into our own book shelves, or worst of all, vanish into a painful time warp. Within minutes of getting home we got back in the car. We need something to store these books in, with easy access, and we need a big bag to take them to and from the library. This is what I came up with. Isn't this great? I got it for about $5 at Walmart. It is made for file folders, which made it nice and deep for all of those over sized library books. This was handy because the lid folded in two. Therefore if we had a huge book, we could tuck most of them away under the lid but if need be, but the giant book would be free to stick out of the top. Luckily all the books fit with the lid closed. This surprised me because some of them were pretty big. Hooray. Now we can tuck this little tub somewhere and keep all the books in one place. I made the rule that the library books can not go up stairs and this little tub is like our library shelf at home. I'll let you know how that works. Also I have a little folder in here that keeps our print out receipt we got at check out so we can check off the list before we have to go back and get more books. It also is holding their reading charts where they color in a star every time they read for 20 minutes. All in one place. Genius. Speaking of more books, I don't want to be standing there loaded down with an unbalanced tower of books again, so I also got this cute "designer" reusable shopping bag for $4 to lug our books back and forth with. Not bad eh? So now I am feeling much more organized and ready to take on the responsibility of a public library card (also I think it helps if your kids are out of the toddler "wander off with everything" stage). I want my girls to love reading as much as I do, and I think this is the first step to making life long readers out of them. So far... so good (Doing the happy mom dance here)!